Thank you for the lovely basket of fabric and threads. I am looking forward to creating some quilts with them. I appreciate the support guild members have given me and the entire Board over the past year – thank you again. 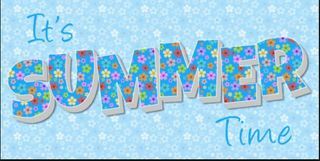 I hope all of you have a wonderful summer and have an opportunity to get lots of sewing done. At the June Salad Supper we voted on two items scheduled for the May meeting. The first was the proposed slate of Elected Officers, as nominated at the April meeting, which was approved by the members present. It was announced that to address the fact that the Guild still does not have a candidate for President, the Board of Directors, in accordance with the Guild By-Laws, voted to appoint me as Acting President starting July 1st. I will fill this position until next July unless a member steps forward before then to take on the Presidency. Additionally, Chairpersons of all Standing Committees positions were announced. The following is the 2018/2019 Board of Directors. The second vote was the proposed by-law amendment, which passed by a vote of 81 in favor and 1 against.